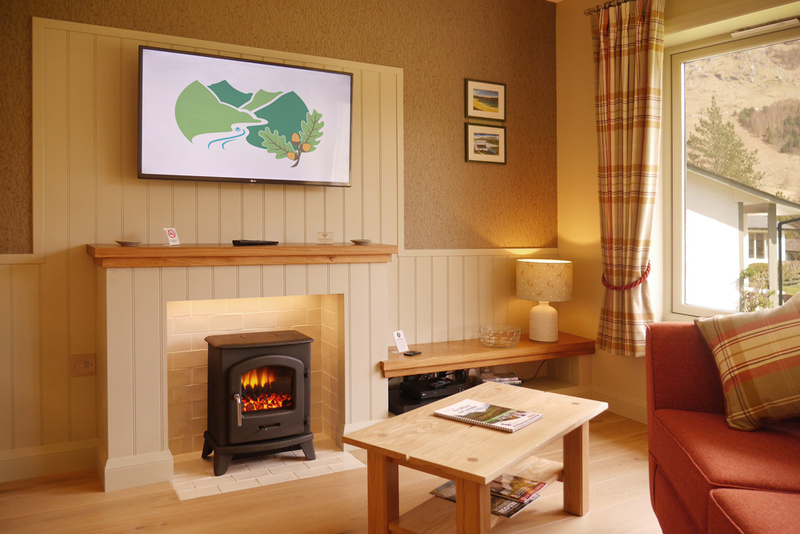 Our luxury cottages have been beautifully refurbished with a modern Scottish feel and high quality finish throughout. 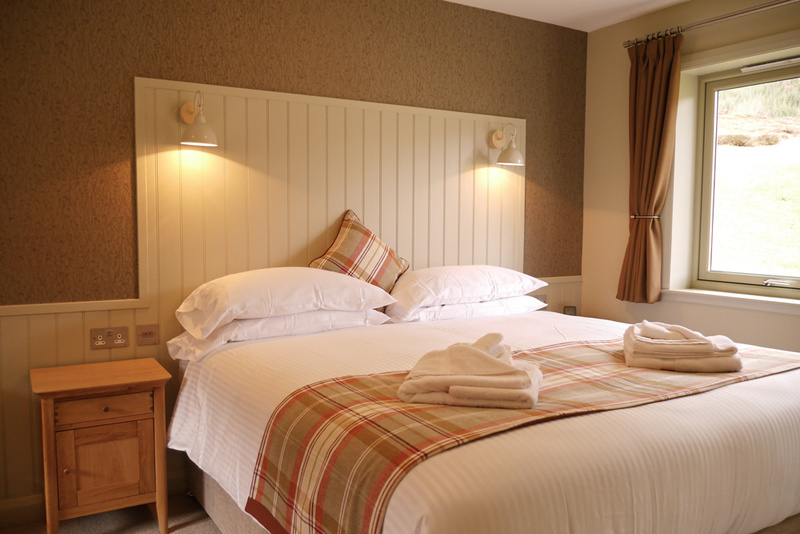 One large double room with super king bed and open plan living/dining area make them the ideal choice for couples. 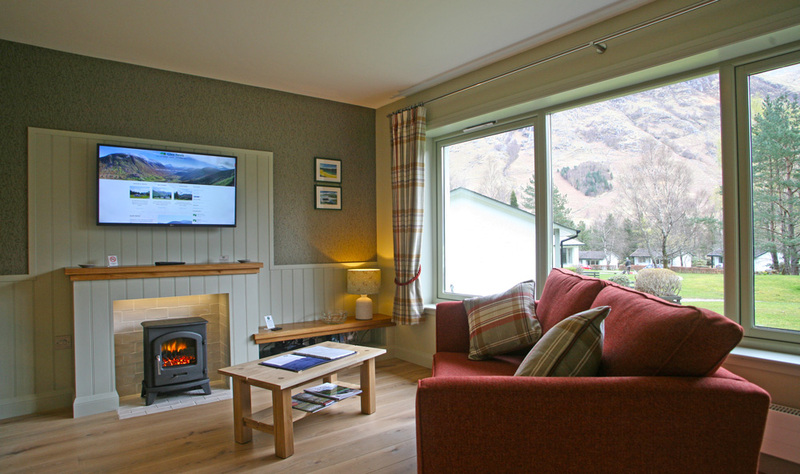 Each cottage has ample grounds and fantastic views of the surrounding mountains. Open plan living-dining area with fantastic big windows looking out to Ben Nevis and the surrounding mountains. Electric fire and 42" smart TV. 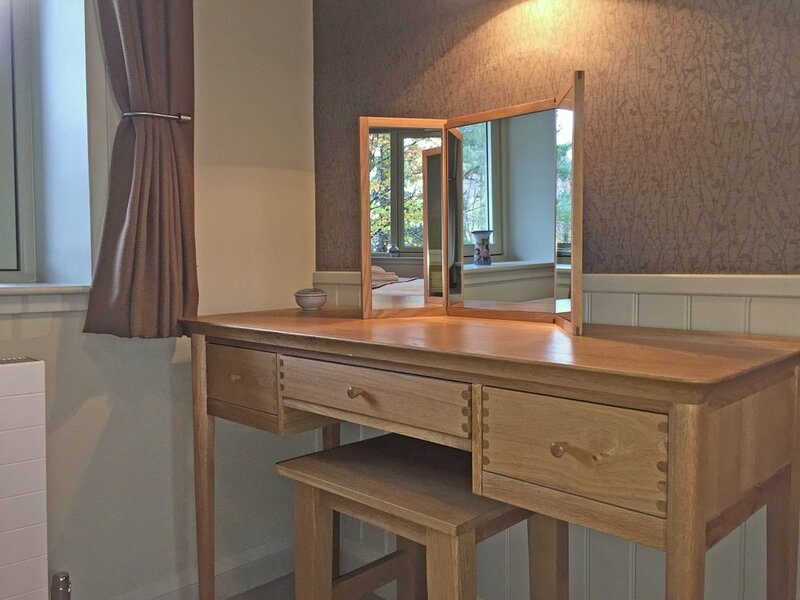 A bright and spacious bedroom with super kingsize bed, TV, dressing table and wardrobe. Large shower with rainfall shower head and heated towel rail. View of snow-capped Ben Nevis from Cottage 10. 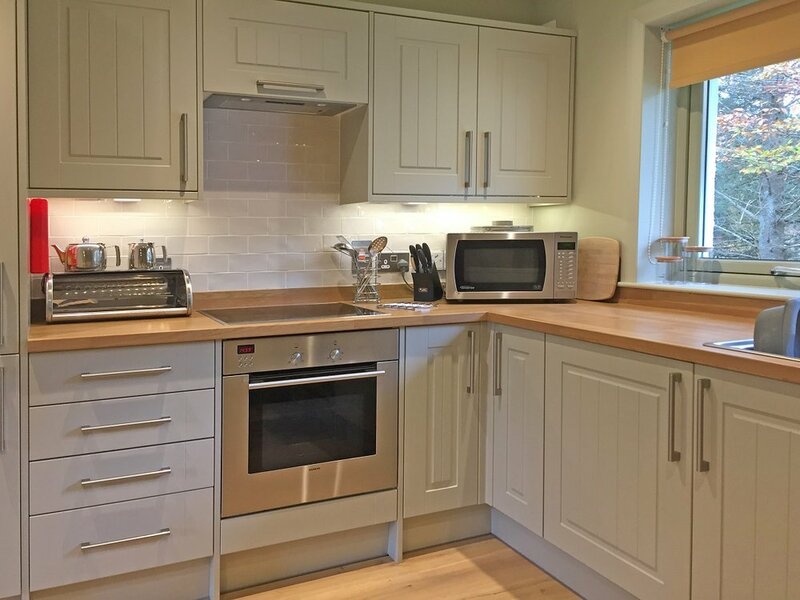 Fully fitted kitchen, with electric cooker, washer/dryer, dishwasher, large fridge/freezer, microwave oven, and a comprehensive range of cooking utensils, crockery, cutlery, pots and pans. Patio area with outdoor seating and fantastic views. Linen, towels, electricity and heating are included in the cost of your holiday. A high chair and travel cot can be provided - please request when booking. Note that you will need to bring suitable bedding. Open-plan living/dining room with comfortable seating, 42" Smart TV with FreeSat, Blu-Ray player, sound bar with Bluetooth connectivity, electric fire, and dining area seating three people. High quality internal fixtures and fittings throughout. Bedroom with quality super king bed - can also be setup as a twin room. Our nearby restaurant and bar is open for lunch and dinner from Easter to the end of October and offers a fantastic range of food & drink. 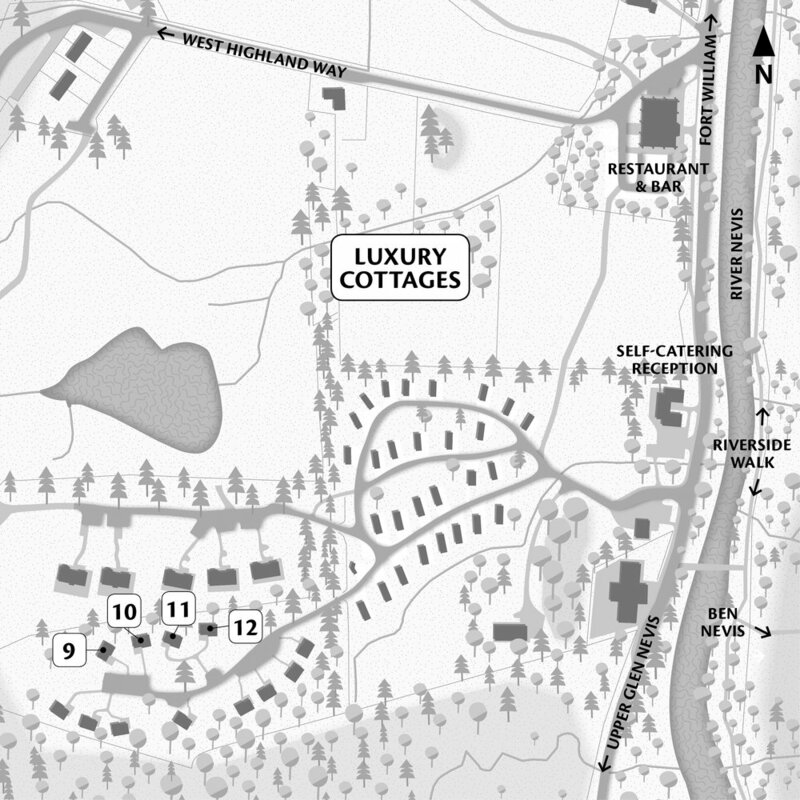 Each cottage has private parking. Please note that we are no smoking, and strictly no pets in our Luxury Cottages. 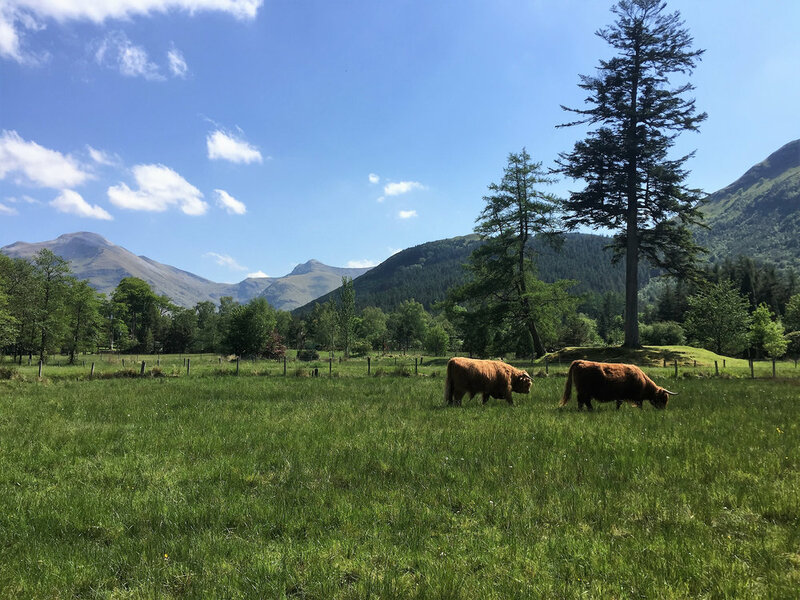 During our busy period (May-Aug) we generally restrict arrival/departure dates to Friday, Saturday and Monday for week-long bookings and Friday and Monday for short breaks. 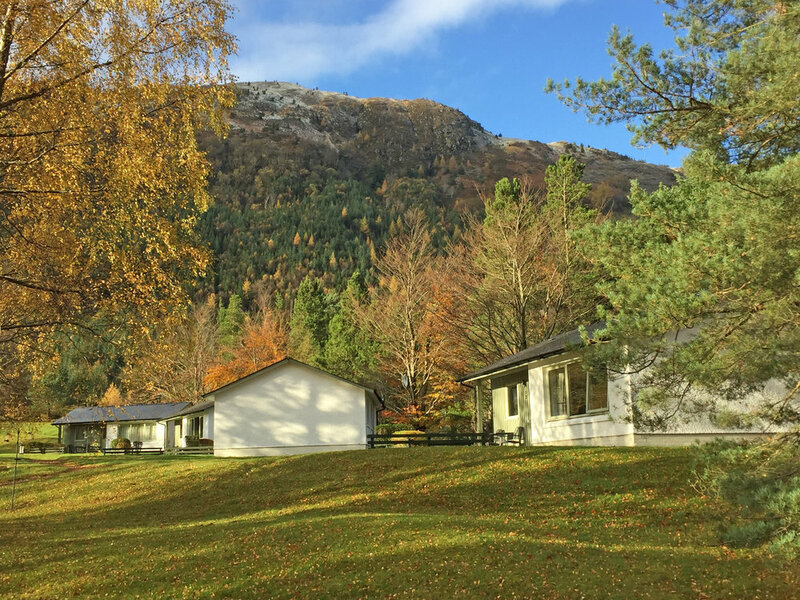 Our self catering park has a fantastic position in the heart of Glen Nevis. 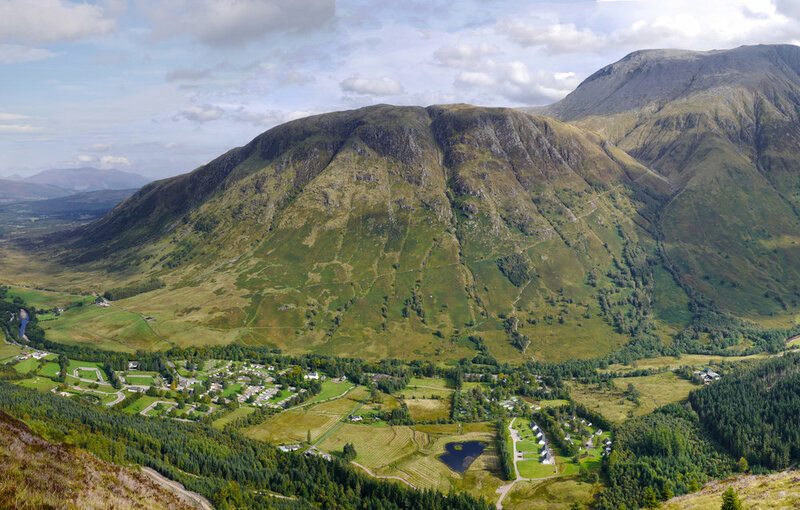 Ben Nevis, the River Nevis, Woodland Walks, Steall falls, Highland Wildlife, Mountain Streams, historic sites - all available from your doorstep. At a height of 1099m it stands out in the Glen Nevis skyline. One of many forestry tracks in Glen Nevis. View towards the Mamore mountain rage. A few of the younger members of our pedigree herd of Highland Cattle. 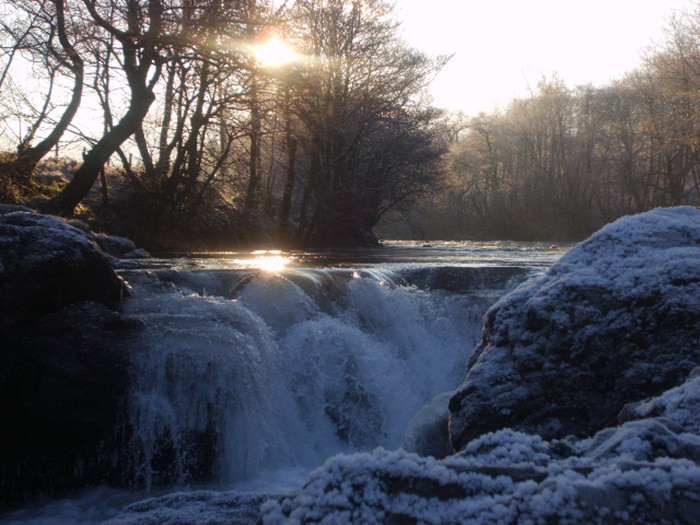 Fed by mountain streams and home to salmon and trout. View of Fort William from Cow Hill. Little remains of the old clan stronghold. At the head of Glen Nevis - one of the highest waterfalls in Scotland. Glen Nevis in the winter. 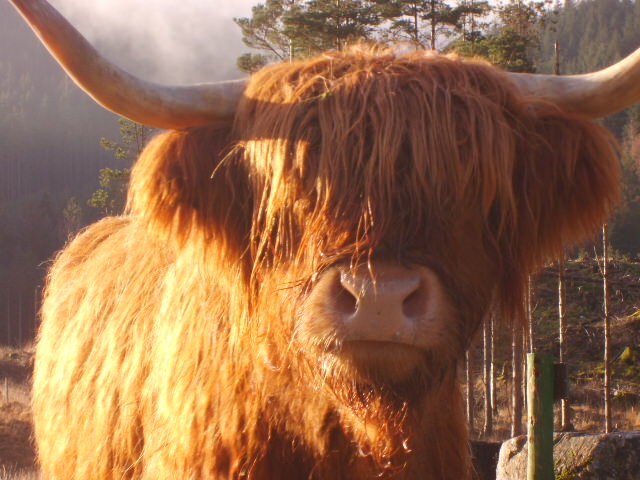 A common sight in Glen Nevis. Not often seen during the day. 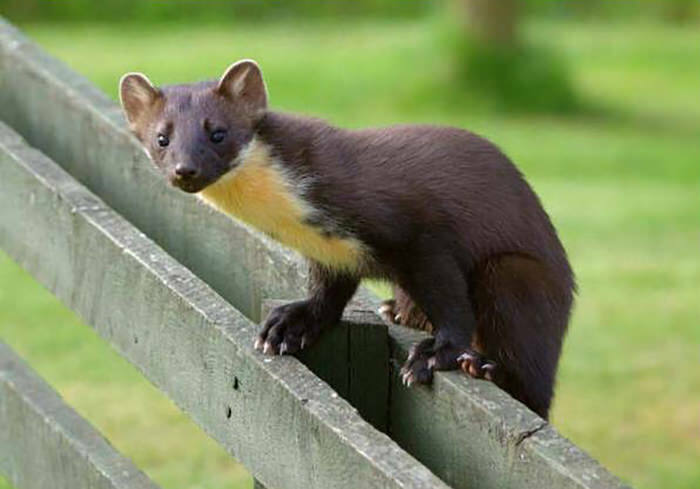 Our native squirrel, still found in Glen Nevis. 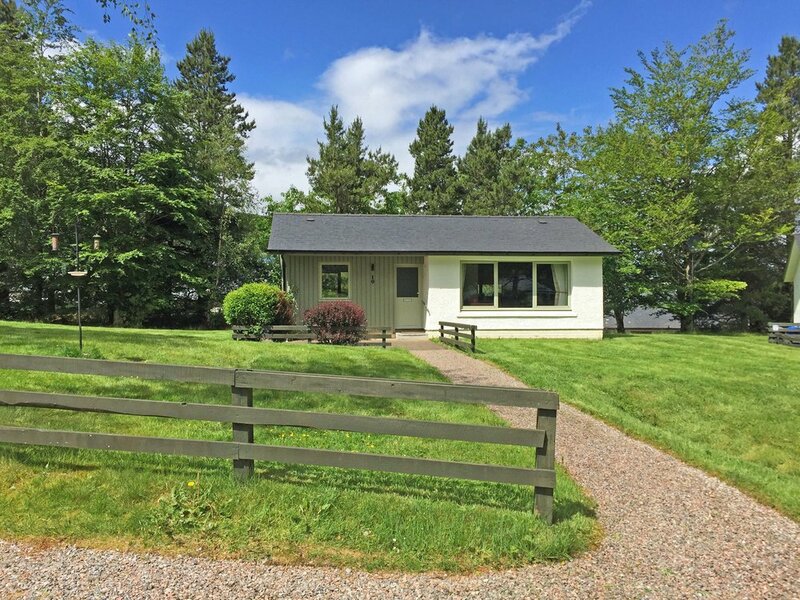 “Wonderful views, manicured grounds, beautifully appointed cottage with quality furniture, equipment and utensils, comfortable large bed, quiet, birds and other wildlife, great short walks in close proximity”. "Just brilliant, location great, cottage met all requirements, brand new interiors and all the creature comforts you could want". 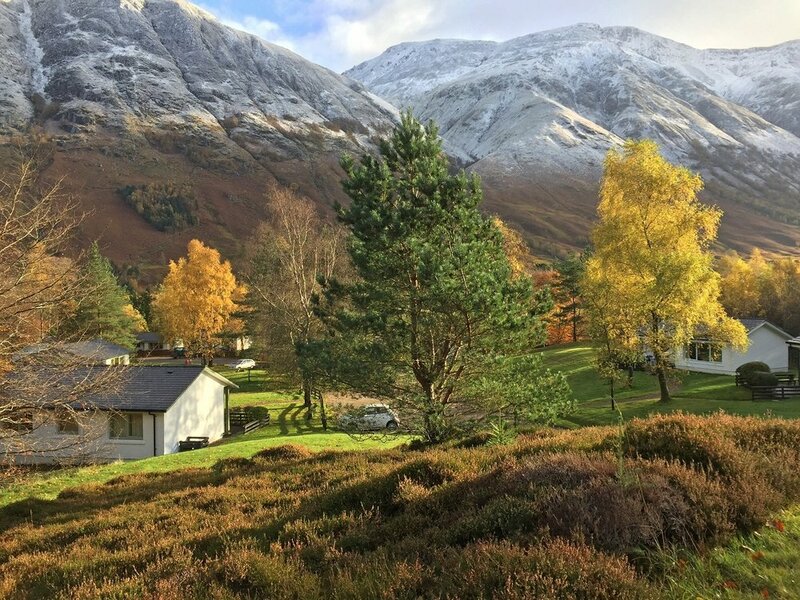 Our luxury cottages have a fantastic location with views to Ben Nevis and the surrounding mountains.